Two lanes of the M6 were blocked for more than two hours. 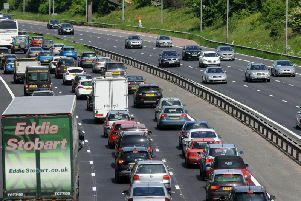 Two lanes of the northbound M6 near Carnforth were closed for more than two hours following a collision early today. Emergency services were called to the collision at around 5am between junction 35 (for Morecambe) and junction 36 (for The Lakes and Kendal). Traffic was delayed while the vehicles involved were recovered and "vehicle liquids" were cleaned off the carriageway. The road was re-opened before 8am and traffic was back to normal soon after.